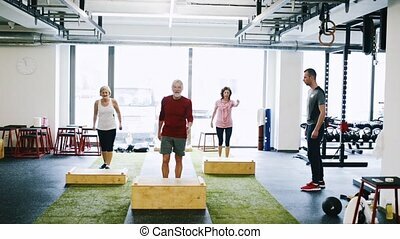 Fit seniors in gym on treadmills doing cardio work out. 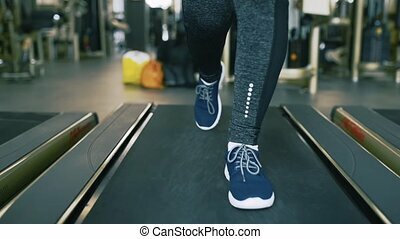 Beautiful fit seniors in sport clothing on treadmills in gym doing cardio workout. 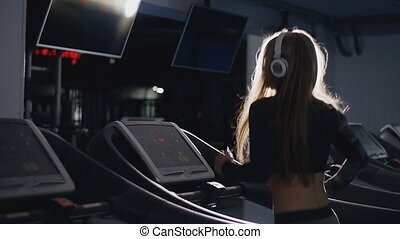 sport fitness and healthy lifestyle concept. rear view. 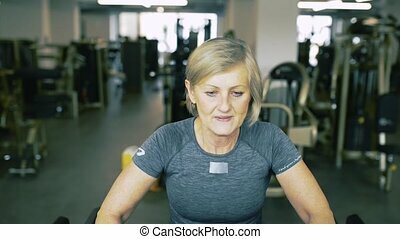 Beautiful fit seniors in sport clothing on treadmills in gym doing cardio workout. 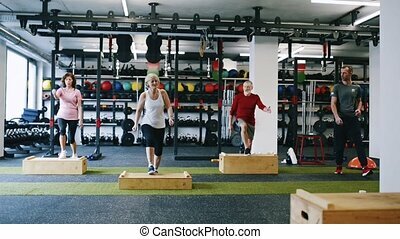 Sport fitness and healthy lifestyle concept. Rear view. 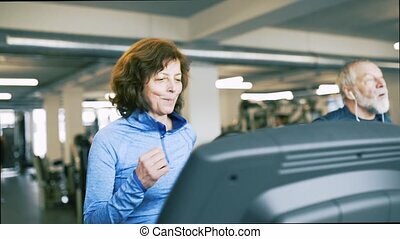 Beautiful fit seniors in sport clothing on treadmills in gym doing cardio workout. 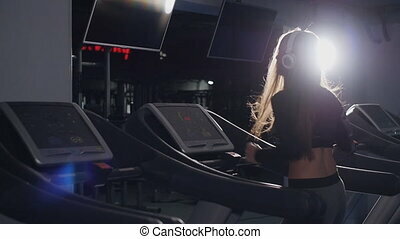 Sport fitness and healthy lifestyle concept. 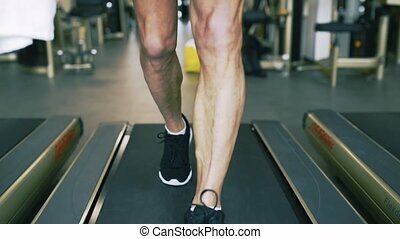 Fit senior man on treadmill in gym doing cardio workout. 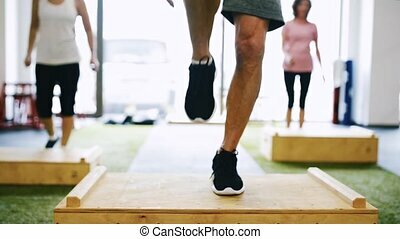 Sport fitness and healthy lifestyle concept. 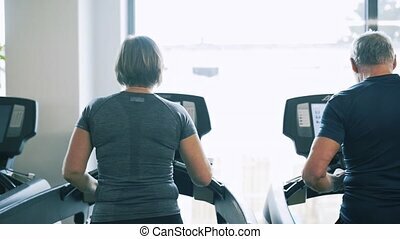 Beautiful fit senior couple in sport clothing on treadmills in gym doing cardio workout. 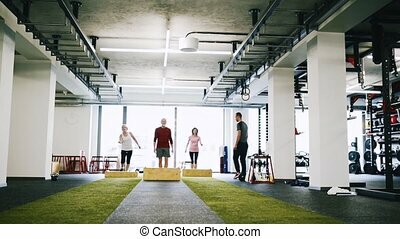 Sport fitness and healthy lifestyle concept. 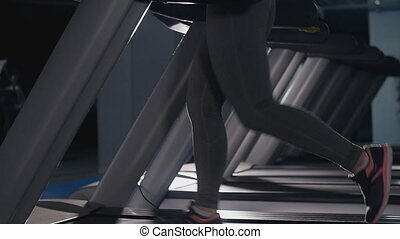 Fit senior woman on treadmill in gym doing cardio workout. 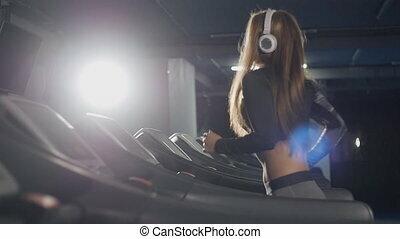 Sport fitness and healthy lifestyle concept. 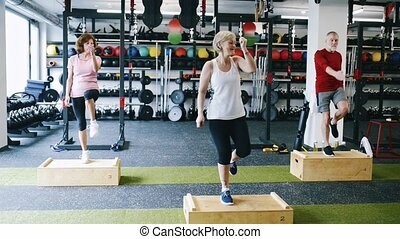 Beautiful fit seniors in sport clothing in gym working out, doing box steps. 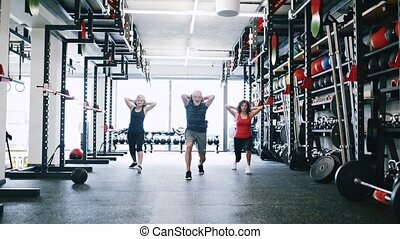 Sport fitness and healthy lifestyle concept. 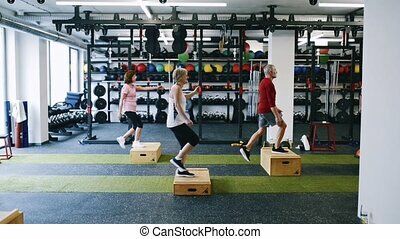 Unrecognizable fit seniors in sport clothing in gym working out, doing box steps. 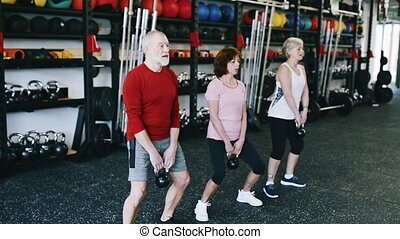 Sport fitness and healthy lifestyle concept. 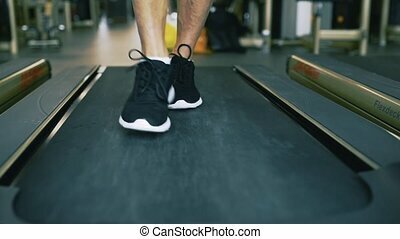 Close up of feet of unrecognizable man on treadmill in gym doing cardio workout. 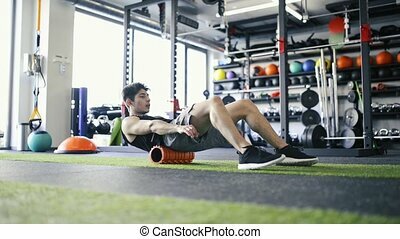 Sport fitness and healthy lifestyle concept. 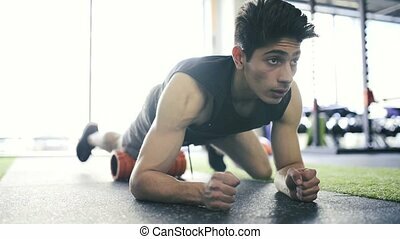 Fit hispanic man doing strength training, doing push ups on kettlebell in modern gym. 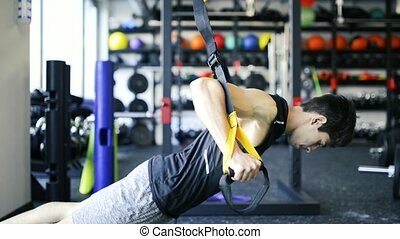 Young handsome fit man in gym working out, doing pull-ups on horizontal bar. Beautiful woman watching him, cheering him on. 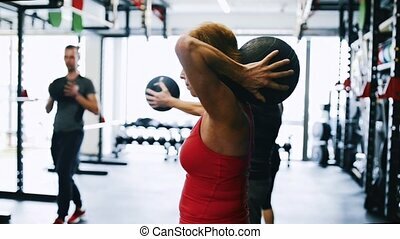 Beautiful young fit couple in modern gym exercising, doing kettlebell swings. Close up of heavy barbell laid on the floor. 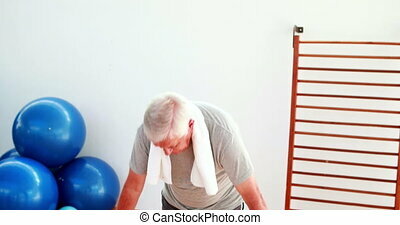 Young fit hispanic man in gym with his personal trainer working out on fitness machine, flexing muscles. Bodybuilder training, doing shoulder press. 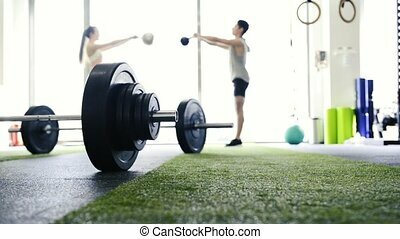 Group of fit young mothers and their babies in modern gym doing exercises on gymnastic balls. Healthy lifestyle. 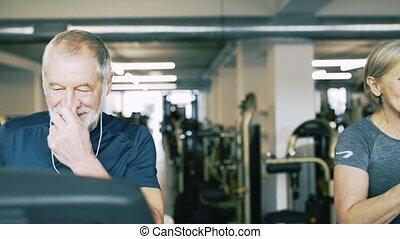 Young fit hispanic man in gym with his personal trainer working out on fitness machine, flexing muscles. Bodybuilder training, doing shoulder press. His friends watching him. 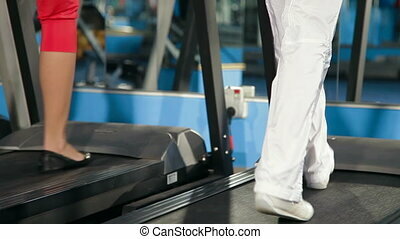 Young fit couple in gym fast running. 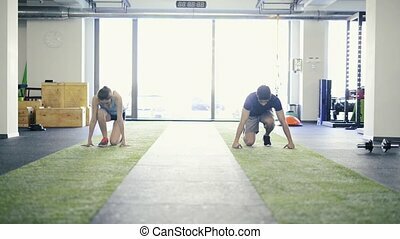 Young man and woman doing intense training session. 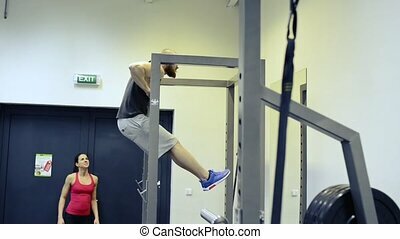 Sports training in the gym.